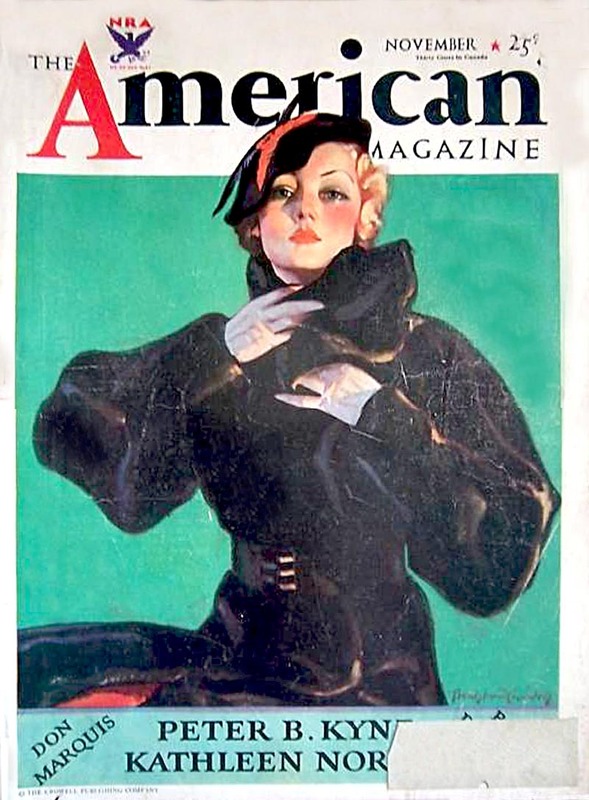 By 1930 Bradshaw Crandell was producing covers for many of the major periodicals of the time like The Saturday Evening Post, Collier's and American. In 1925 he opened a "shop" at 405 Lexington Avenue and simply called it John Bradshaw Crandell Studios. Crandell himself only recalled producing one editorial or story illustration. That was produced for Redbook magazine early in his career. There were countless advertising illustrations produced for a variety of elite clients and products. The images usually depicted an attractive woman or couple engaged in some glamorous or exciting activity. 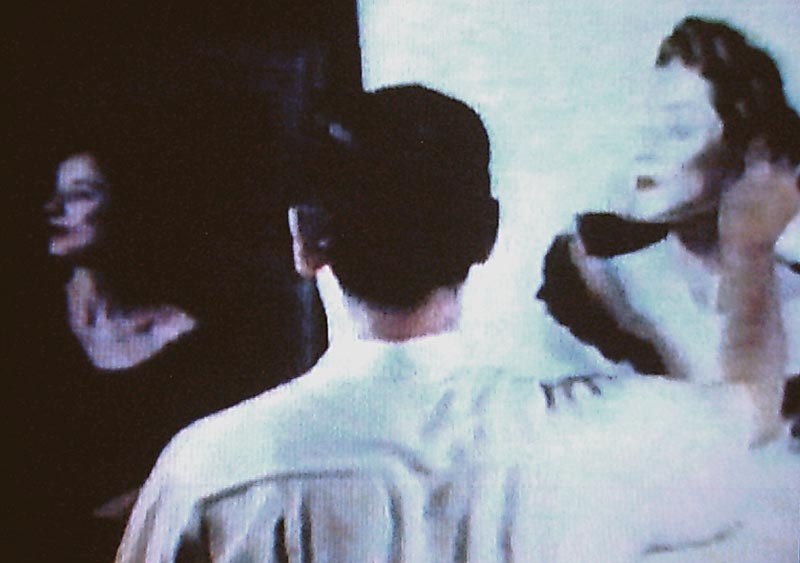 He became widely recognized for his Old Gold ads and point of purchase displays. Crandell's depictions of beautiful women were the staple for Palmolive skin soap advertising campaigns during the early 1930's. However, it was his Cosmopolitan magazine covers that made Bradshaw Crandell a household name. 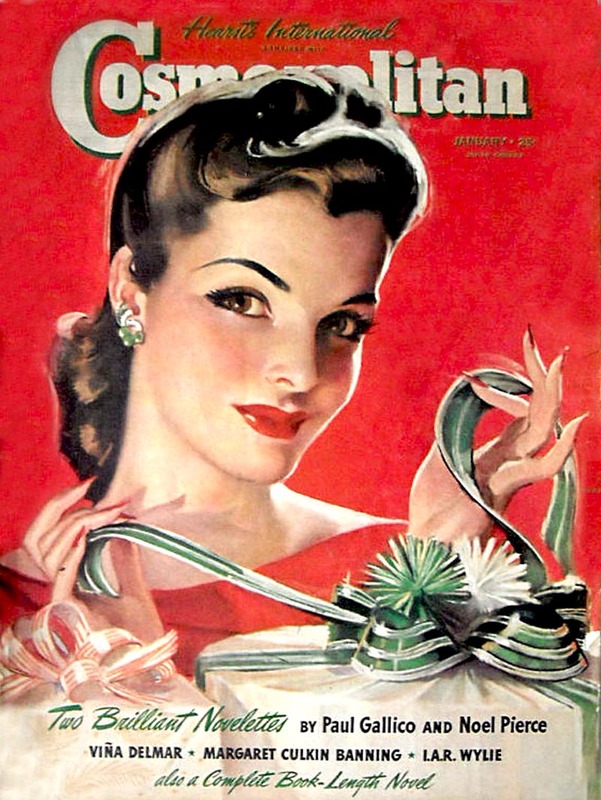 By 1935, Crandell dropped the 'John' from his name, moved to a new penthouse studio at 400 East 52nd Street (he would maintain this location until August of 1965), and was at the beginning of his 12 year run as the cover artist for Cosmopolitan. He also produced covers for Ladies' Home Journal and various other "Curtis" publications. 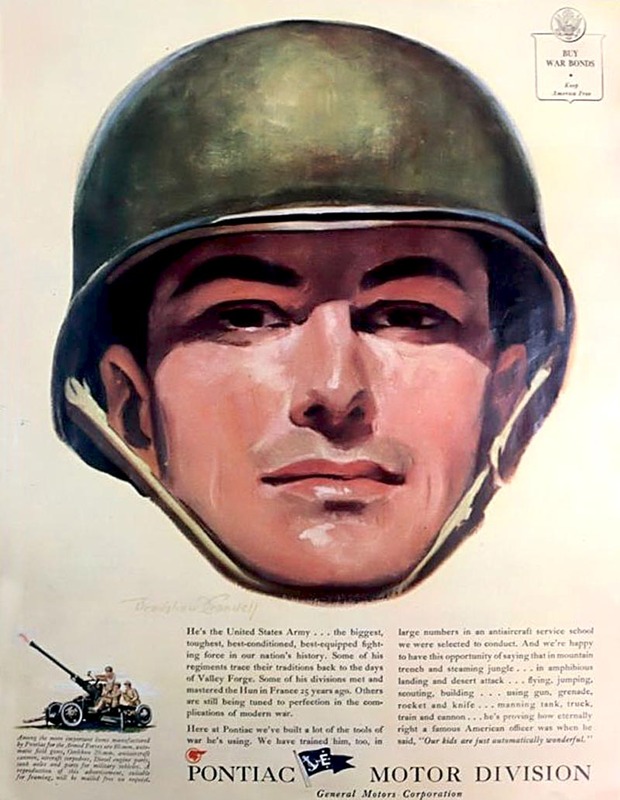 During WWII Crandell produced a variety of war effort illustration art. In 1939 he provided the artwork for the Salvation Army fund drive, and also produced numerous illustrations for General Motors Pontiac Division, depicting workers and their roles in producing aircraft. Cosmopolitan was known for it's beautiful covers portraying Hollywood's most popular and attractive movie stars. 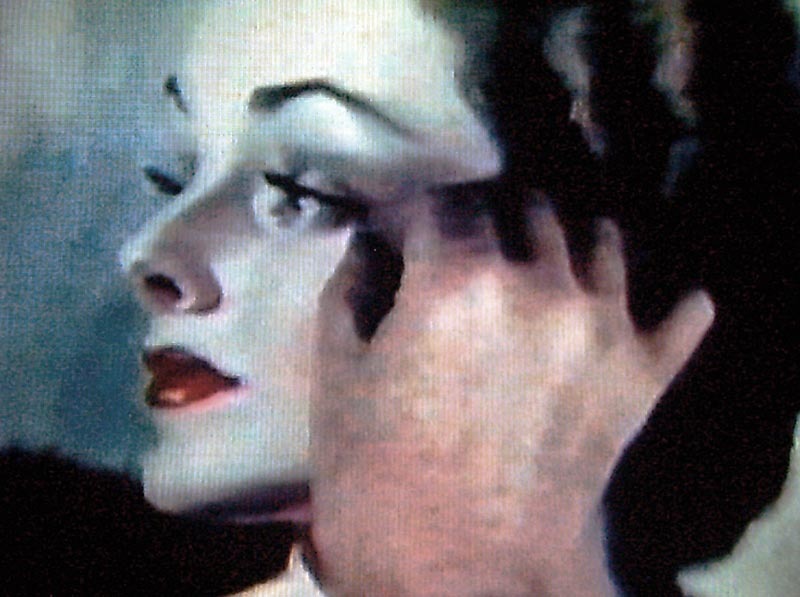 It was imperative that these depictions not only be recognizable, but more beautiful and glamorous than the camera or "real life" could present. There was an abundance of infinitely skilled illustrators in those days. Few however had the ability to draw and paint a pretty face like those produced by Bradshaw Crandell. Over the years there have been but few artists with this uniquely aesthetic ability. When Carole Lombard posed for Crandell in 1935, she was at the height of her acting career and popularity. In the image conscious movie industry of the 1930's to the 1950's, anything less than perfect would not be tolerated or accepted. This alone is a testament to Crandell's considerable abilities and influence within the studio system of yesterday. Movie stars of today are forced to embrace the public's fascination with the candid reality of photography. Somewhere along the line, the elements of fantasy and innocence have been lost. 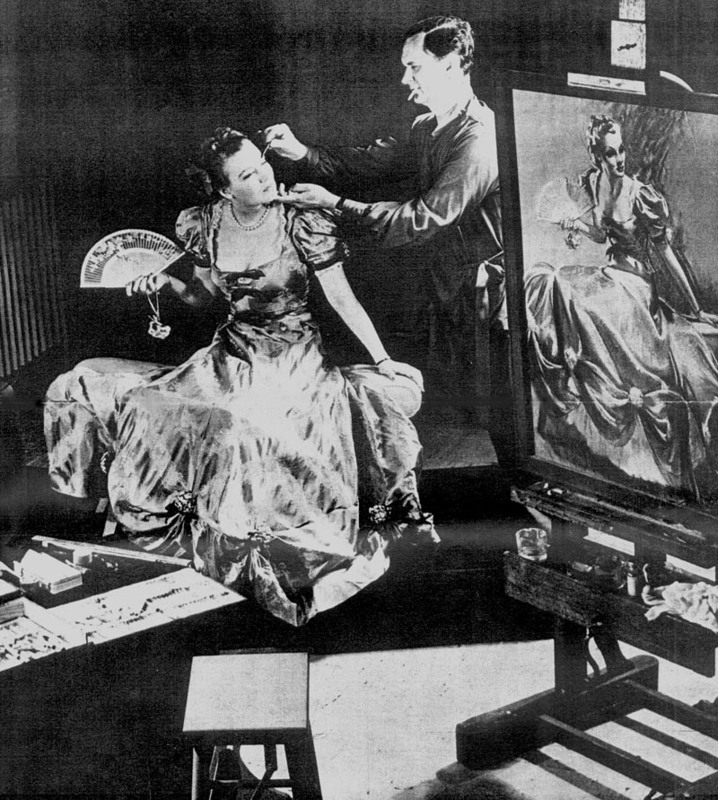 Bradshaw Crandell's approach, or technique to producing a pastel picture was in effect, quite laborious. The process gave his finished pastel pictures a deeper, richer appearance than a direct application. The first stage was to draw his model from life with charcoal. For a portrait bust he worked large, approximately 22" x 30", on white heavyweight paper attached to a board, and locked in an easel. He employed all of the various blending and rubbing techniques common to pastel and charcoal drawing, and with a mouth atomizer, would apply a fixative at various stages. After the initial drawing was adjusted and corrected, he would then begin to add whites and lighter values to the drawing with pastel. Now with a fully rendered B&W en grisaille drawing, he would apply a fixative with a mouth atomizer, and remove the drawing from the easel. Laying the work flat, Crandell applied a varnish/medium, to the entire working surface with a 2" sable brush. Once the surface was dry, he would begin to add the color with pastel. 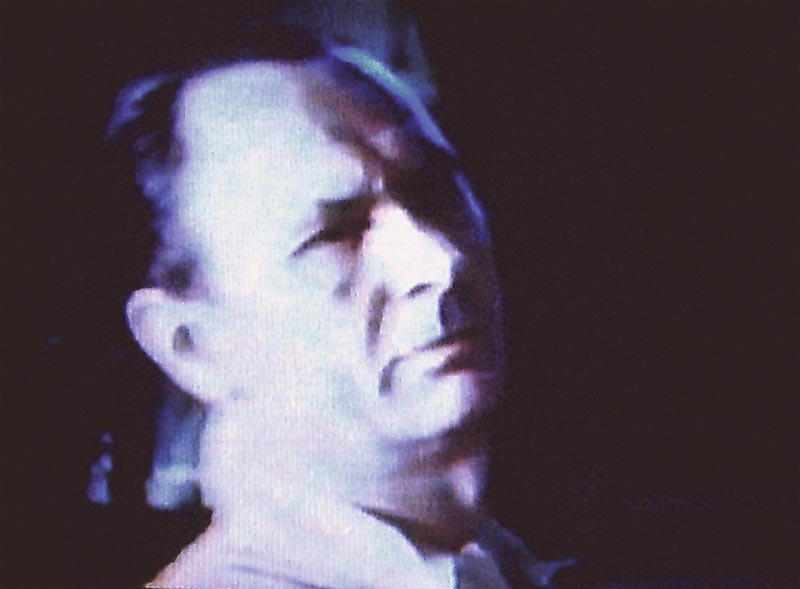 This approach is similar to an undertone (verdaccio) used when oil painting. He worked in the same manner one might when painting with oil, ie: dark to light, establishing all of the dark values and passages first with a corresponding value of color. He created new hues, by blending the colors as they were applied one over the other. As the medium dictates, this was a process of refinement and polish. After the trademark Bradshaw Crandell signature, he would spray fixative over the entire surface, and the picture was complete. Although there are visual records of how Crandell created his pastel pictures, it would seem none of his working methods are available after he transitioned to painting with oils. However, it would be reasonable to presume his fundamental approach was similar.